The Honored test-pilot of Russia, Hero of Russian Federation and The Head of Flight Test Division of Sukhoi Company since 2000 Colonel Sergei Bogdan has tested over 50 different combat aircraft. 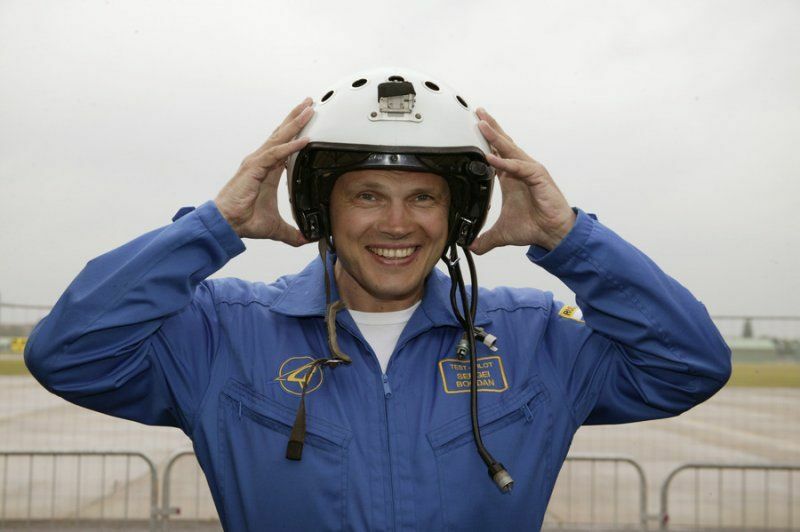 50 years old pilot Colonel Sergei Bogdan was born in 1962 in the town of Vol’sk Saratov region. After high school Sergei Bogdan entered Borisoglebskoe and graduated in 1983. In 1987 he served in the Leningrad military section and in 1990 he transferred to Mongolia. In 1991 he was promoted from deputy Marine squadron commander to Major of the Attack Aviation Regiment in the Centre for training test pilots (TSPLI). In 1992 —1993 He served as Test Pilot at Municipal Flight Test Center (glycerol) and promoted to deputy commander of the air squadron service for test flight of fighter aircraft. He has conducted tests of the Su-27, Su-30MKK, Su-25TM, MiG-29S, target drones M-21M and M-29. He has done the test piloting with Su-25UTG and Su-33 on the aircraft carrier “Admiral Kuznetsov” in the Arctic, Atlantic Oceans and the Mediterranean Sea while He was awarded the Order of Courage. Sergei Bogdan started working with SUKHOI since 2000 and participate in the testing of the Su-24M2 and Su-25SM, Su-27M, Su-27SM, Su-30KN, Su-30MK2, Su-30MKI, Su-30MKA, Su-30MKM ,Su-27KUB, Su-35UB, Su-47 (“Golden Eagle”). Sergei Bogdan started demonstrating flights at several international air shows with the remarkable Su-30MK2 in the year 2001, 2003, 2005. He became famous fighter test pilot with the Su-27SKM at the Paris air show (Salon Le Bourget) in the year 2005. He has done some exciting maneuverability with Su-30MK2 in different air exhibitions in Algeria, Libya, Venezuela in 2006. Sukhoi test pilot Colonel Sergei Bogdan Has spent over 50 types odifications of aircraft lifted into the sky such as first production Su-30MKI, functional Su-35 and a promising fifth gen multi-role aviation superior from the SUKHOI breed the PAK FA T-50. 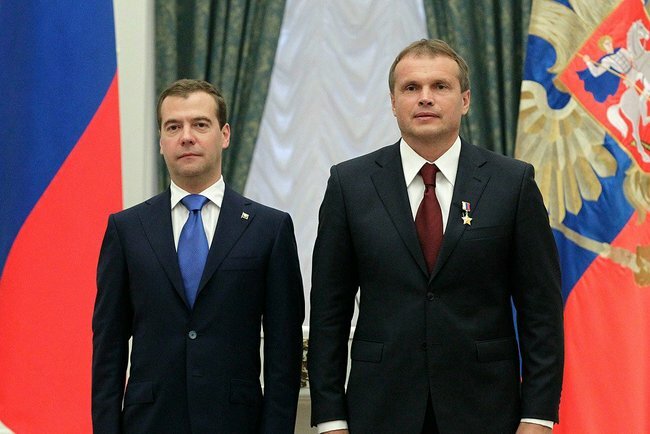 In July 2011, Sergei Bogdan awarded Star of Hero of the Russian Federation. Higher state of the country merits pilot honored for his contribution to the design, creation, creation of special equipment and many years of work with honesty.